It might not look that big, but a 4 yard dumpster from Bin There Dump That might surprise you with how much waste it can actually hold. These compact units are perfect for small renovation jobs or the annual spring cleanout. A junk removal service might sound like a good idea, but you’re always working on their timetable not your own. What Does A 4 Yard Dumpster Cost? A 4 yard dumpster rental price vary across the country depending on where you are. The dumpster rental price ranges between $200-$300. We recommend you budget around $300 to be on the safe side. Our fees for our dumpster rental include delivery, pick up, 7 days rental and Bin There Dump That's driveway protection sytem. What Size Is A 4 Yard Dumpster? A 4 yard dumpster is 4 cubic yards big. The dimensions of our 4 yard dumpsters are 10 feet long, 2 feet high and 5.5 feet wide. 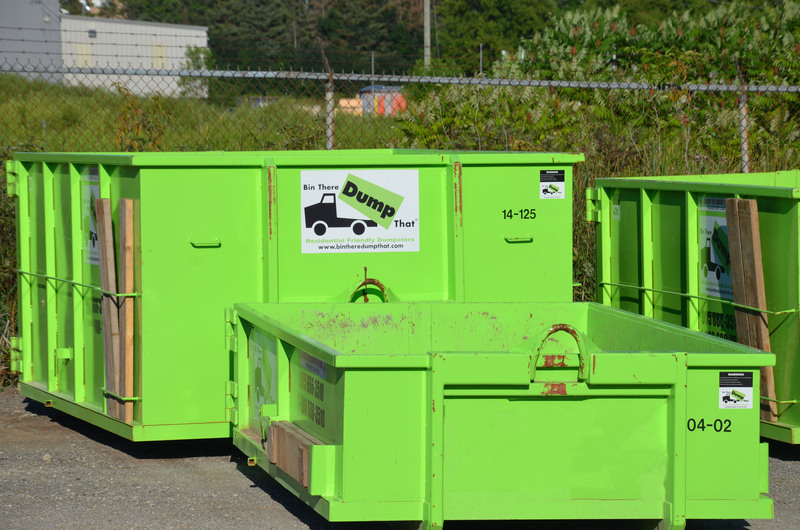 This is our smallest selection of dumpsters and can service you in small waste removal projects. If you would like a visual reference, you can find one here. What Does A 4 Yard Dumpster Weigh Empty? A 4 yard dumpster approximately weights 1,500 lbs empty with no waste material inside. But it doesn't matter how much the dumpster weighs, just the weight of the material in it. When you rent a dumpster, you have time on your side. A standard rental is for 5 to 7 days, which is usually more than enough time to clear away all the junk from you latest project. If you need to take a day off in between it’s not an issue, your dumpster will still be there waiting to be filled the next day. That’s one of the great advantages of only having to rely on yourself. We all have a project we’ve been meaning to tackle for months, but somehow we never seem to get around to it. Usually the problem is that the task seems so daunting. You wonder what you’re going to do with all that junk. How can you get rid of it? Most of us are reluctant to ask a friend or family member for help because we don’t want to bother them. Hiring someone with a pickup truck may be an option, but if you’re anything like me hiring a stranger from an ad on social media probably makes you a little nervous. Renting a 4 yard dumpster is the perfect answer. It will hold more than you can get in the back of a pickup truck and you don’t have to deal with random strangers with questionable credentials. As long as you’re not hauling hazardous material, you can dispose of it in your dumpster. There are weight restrictions, but those are clearly explained when you rent the dumpster. The 4 yard dumpster isn’t meant for large projects, but if you’re trying to dispose of material from a small bathroom renovation, it will do the job nicely. Those old green shower tiles that seemed perfect 20 years ago can finally make way for your new look. Sometimes it’s just time for a change. 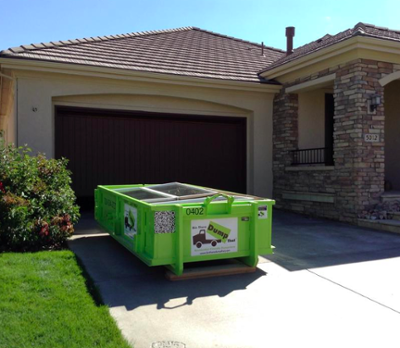 The 4 yard dumpster is also ideal for the landscaping project you’ve been planning. You can use it for removing top soil, gravel under those old patio stones, and the old patio stones as well. It can also be used for heavier items such as bricks and concrete. The bottom line is that a 4 yard dumpster is the ideal answer for all kinds of home projects. You can work at your own pace and because of its small size you don’t have to worry about it taking up too much space in your driveway. You’ll barely notice it. You get to tackle that project you’ve been putting off and you can do it at your own pace.